Researchers at University of Bristol found that women who are "morning people" are 40 to 48 percent less likely to develop breast cancer than women who are most active in the evening and go to sleep later – about one fewer case of breast cancer among every 100 morning larks as among the same number of night owls. The findings were based on genetic information from nearly 400,000 women, examined for the 450 genetic markers tied with sleep patterns. These genetic markers can show everything from "chronotype" (what times a person is most active) to risk of insomnia and the amount of sleep needed. But while our genes do rule our innate preferences, they don't always decide our behaviors. 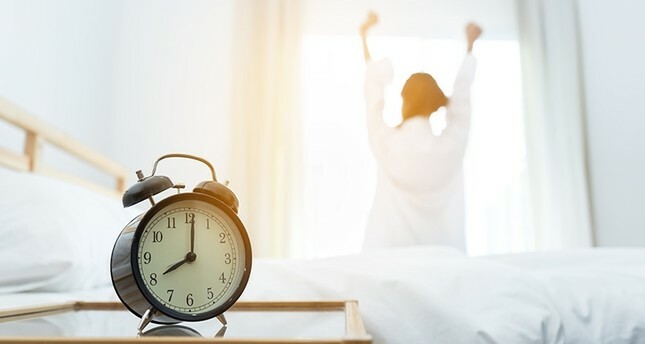 Because work, school and family schedules usually dictate when we sleep and rise, the researchers said only a small fraction of the chronotype genes actually lined up with their carrier's real-world schedule. "What we would like to look at next is the interplay between our innate preference, to being a morning person or an evening person, and our actual behavior," lead researcher Dr. Rebecca Richmond told British newspaper The Independent. "Some suggest that the misalignment between our societal clocks and our biological clocks can be putting us at risk of disease," she said. "While these intriguing results highlight the need for further investigation, changing your sleeping habits is not as easily done as other proven risk-reducing choices, as they're often part and parcel with jobs, parenting, or other health conditions," Dr. Emma Pennery, clinical director at Breast Cancer Care, told The Independent. "More work is needed to understand why sleep characteristics may be linked to breast cancer risk. But what we do know is maintaining a healthy weight, taking exercise and drinking a sensible amount of alcohol, all help to reduce the risk," Pennery, who was not involved in the study, said.